This whole staff after-school 2-hour workshop provides teachers with practical activities for immediate implementation in the classroom. Leaders are provided with strategies to develop a whole school approach for differentiating instruction. 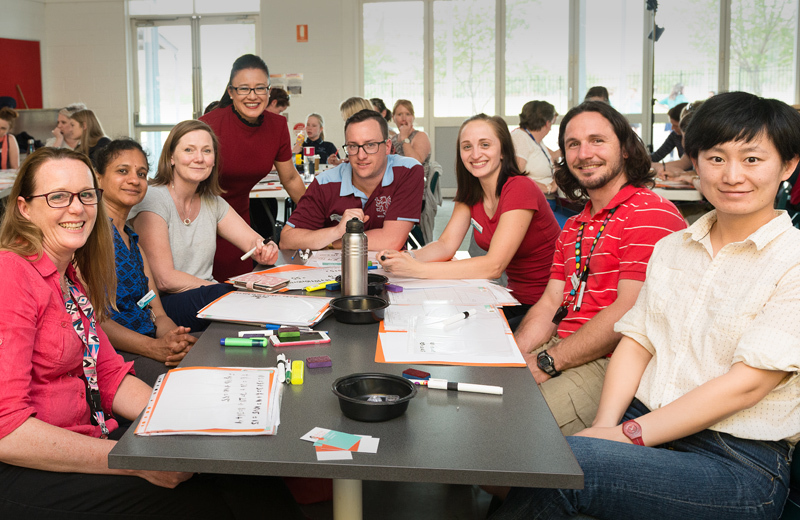 The presenter, Anita, will use the online NSW Mathematics K-10 Syllabus for the Australian Curriculum to show how the ‘big ideas’ for multiplication and division develop K-8 and how concepts connect both within and across substrands. Participants will work in stage/grade based PLT’s to engage in a range of developmentally sequenced tasks for use across the whole school. Teams will then plan a lesson to implement. Educators will be empowered with pedagogical content knowledge and appropriate tools to differentiate instruction to meet the wide range of needs and abilities in a mixed-ability and/or multi-aged classroom. Audience: All educators K-6 from the one school i.e. classroom teachers, learning assistance teachers, executives and the Principal. Cost: All tailored on-site events incur a fixed Presenters Fee (see course web page for details) and a variable travel cost. Bookings: Available on request. Contact Anita Chin via the website contact page.